Welcome to my personal opinion of the top 10 cards in Clash Royale! This list will include cards that aren’t constantly adjusted for balancing and will most likely remain good throughout the game’s years. Also, no legendaries are added. Fireball- The fireball is great card for only 4 elixir. You can use it to take out a tower low on health, but its best use it taking out troops. Barbarians are devastated by the fireball, allowing your tower to pick off the remaining barbs. It’s also a good substitute for arrows against the gob barrel or minion horde. Barbarians- In my opinion, this is the best all-around card in the game. For 5 elixir, you can counter literally every card in the game except flying units. Use these to take out the giant, royal giant, or golem if you don’t have a defense at the ready. Another use it dropping them on the prince/wizard/musketeer to completely annihilate it. Spear Goblins- Spear gobs are great because they are so cheap. If you are low on elixir, and your opponent starts a push, spear gobs are great to put down to get some HP off a hog or balloon. They are also great for offensive, if you place them behind a tanky unit. Arrows- Nowadays, it seems as if everyone uses the minion horde and by far the best counter to this is arrows. Combine that with the use of princess, goblin barrel, and minions, and arrows or fireball become almost a necessity in any deck. You can gain a major elixir advantage from these! Minion Horde- Despite arrows being the perfect counter to this card, the minion horde uncountered is by far the most effective card in the game. Blink and the horde will have your tower down to half health just like that. It is slightly expensive, costing 5 elixir, but if your opponent is low on elixir, make sure to rush the tower with this for immediate results! Cannon- I’ve used the cannon for a long time, and even with the recent nerf, I will continue to use it. That’s because it is such a great counter card for only 3 elixir. It is perfect for dealing with the hog and distracts the giant or royal giant long enough for you to drop some other troops in behind. Baby Dragon- What’s so great about the baby dragon is it can be used for offense or defense. On offense, it deals a great deal of damage to the tower along with helping out by taking damage. On defense, the baby dragon deals splash damage, so your opponent can’t play goblins or minions without them going down fast. Caution: don’t play this card against barb/hog combo! Valkyrie- The valk is by far one of the most underestimated cards in the game. It only costs 4 elixir, yet it is by far the best counter to barbs and goblin in the game. Since it does splash damage, it can easily take out a group of barbs before dying. Trouble with double prince/P.E.K.K.A.? Drop the valkyrie in the middle and see it do great work. It’s also great on offense, defending against barbs and the like, while also doing decent damage to the tower. Tesla- Just like the cannon, this is a great defense! The big advantages to the tesla over the cannon, despite the 1 elixir extra cost is that the tesla can shoot air and it hides, which means it can’t be hit by a fireball, lightning spell or any spell for that matter. It is a very effective counter to the baby drag as well as barbs if you don’t have any other counter available. Golem- This last spot was tough to figure out, but ultimately I went with the golem. The golem is worth every drop of its 8 elixir cost. Combine the golem with the elixir collector and you can push up to legendary arena quickly. It provides the ultimate tank to your units. 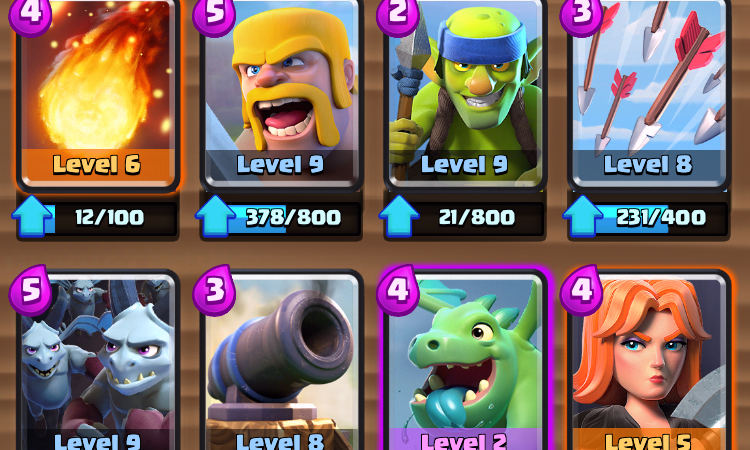 The best cards to put behind the golem are cheap: spear goblins, bomber, wizard, and archers are are extremely effective and tough to counter. That is my top ten cards in Clash Royale! Let me know if you think a certain card should have made the list; I might have forgot about it and have to update my list! Thanks for reading and check back soon for more content! 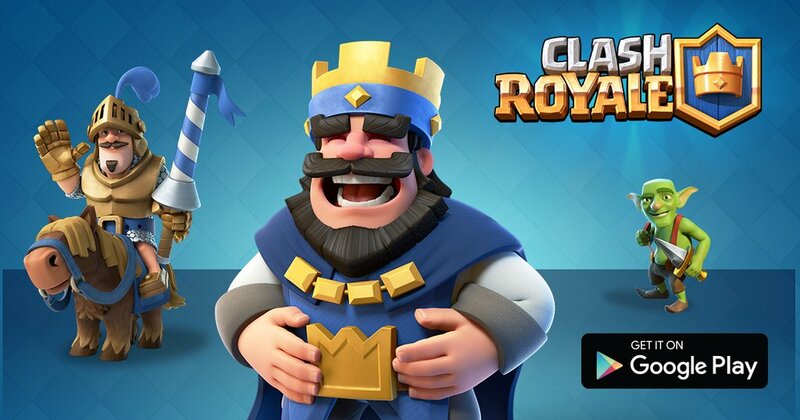 ← Clash Royale Global Release!!! Because this list is over a year old…. I said I disallowed legendaries in this list! Where is the knight, and the dark knight? They should be on the list too. Other than that, I agree with everything. You mean prince and dark prince? Dark prince was probably my next choice since it does splash damage, but prince can took easily be beat by a variety of troops: inferno, barbs, skeletons, goblins, minion horde, etc. You are talking about higher levels. However, in lower levels princes are extremely good. Oh yep, below builders workshop or so, prince is excellent, but mostly I’m talking about Royal arena gameplay! Mirrors are good too, lol. Pingback: Top 10 Best Cards in Clash Royale | Clash of Clans Guide, Strategies, Tricks and More!